Winter Squash is one of my favorite fall vegetables. It looks beautiful on the vine and I love seeing it grow throughout the entire growing season. Winter squash is in the same family as zucchini, cucumbers, and pumpkins, however we leave in on the vine until it has a nice hard shell and woody stem. This gives it a fantastic storage life and sweet flavor! There are hundreds of types of winter squash and all have a slightly different flavor or texture. One of our favorites this year was a round smooth squash called “Fairy”. Upon picking it we roasted it and it was good, but not great. Fast forward 2 months and it is the sweetest tasting squash I’ve ever had. It makes a great pumpkin soup. My favorite way to cook winter squash is to cut it in half with a large kitchen knife. A mallet or meat tenderizer can be helpful to hammer the knife down if it has a tough skin! I scoop the seeds out, rub the flesh with oil or butter then place cut side down on a cookie sheet. Roast at 375F for about an hour or until tender. Once cooled I scoop out the flesh and use it in soups, breads, muffins, and even smoothies! Winter squash keeps best in a coolish dark place. Basements can often be good locations. They like the temperature to be around 40-50F. 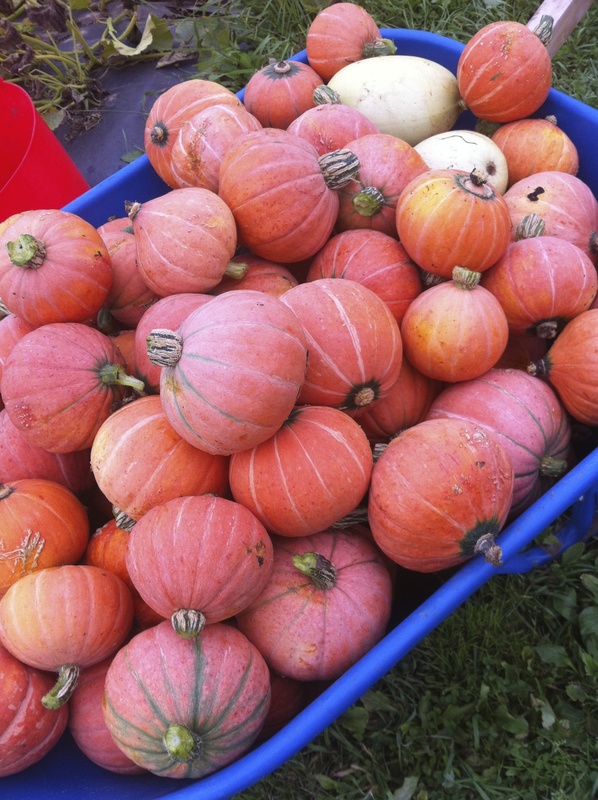 Some winter squash can keep for up to 4 months or more and they usually get sweeter with age. This entry was posted in About produce, Tips & Tricks and tagged storagecrops, wintersquash. Bookmark the permalink.